Aurora is the daughter of Luis and Janice Coria, the owners of Coria Estates. Rori, as her family and friends call her, grew up helping her folks working in the vineyard and behind the scenes in the administrative side of owning a 60 acre vineyard. 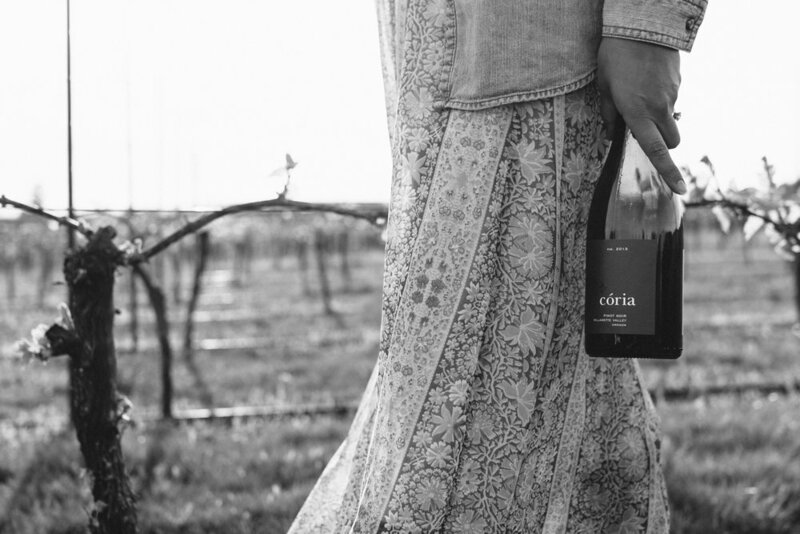 She didn’t always know she wanted to be a winemaker, but when her mom prompted her with the question, “Maybe it’s time to start our own label?” At that moment the choice was so obvious! Rori was working in Public Health in Portland Oregon at that time; which had been her first passion; but that conversation with her family was the beginning of an entire life change. Rori decided to go back to school and study Winemaking, and in a few short years, Coria Estates had their first crush under label in 2013! Rori started her career in winemaking in 2011. She studied at the Northwest Wine Studies Center, and has interned at Oregon wineries, as well as studied winemaking and worked a vintage abroad in Tasmania, Australia. She believes in being hands off stylistically in the winery and letting the fruit speak for itself. She believes that if you manipulate a wine too much, you lose the natural essence of the fruit you started with. She commented, “I’m learning every day and continuing my education from everyone I come in contact with in this industry. There are so many talented and inspirational winemakers, enologists, and many others that are involved in the entire process of winemaking to gain knowledge and experience from.